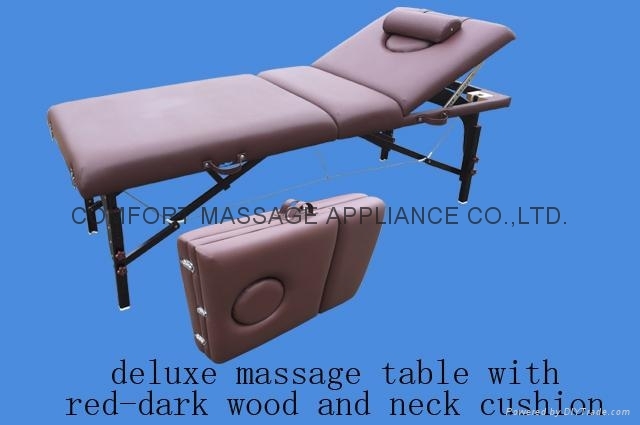 imported beech,high density foam, PU leather and stainless steel screws and nuts. 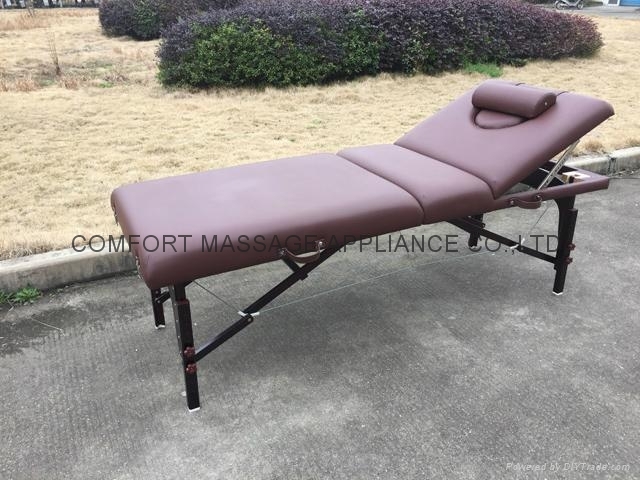 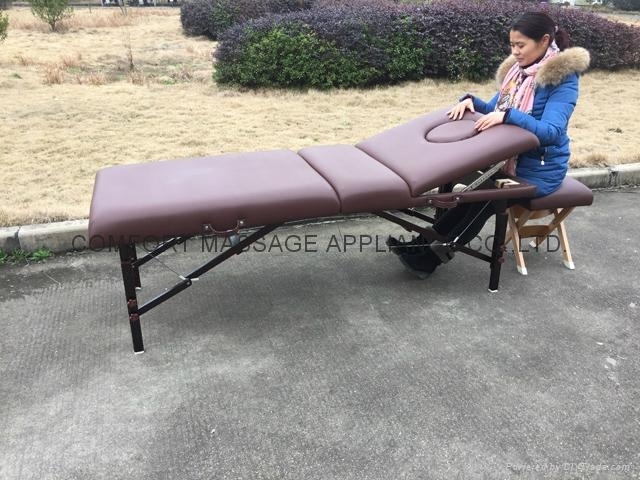 brown-red beech,more deluxe,6cm high density foam and PU leather make the table comfortable and soft.the table has adjustable backrest and neck pillow which make massage or beauty more comfortable. 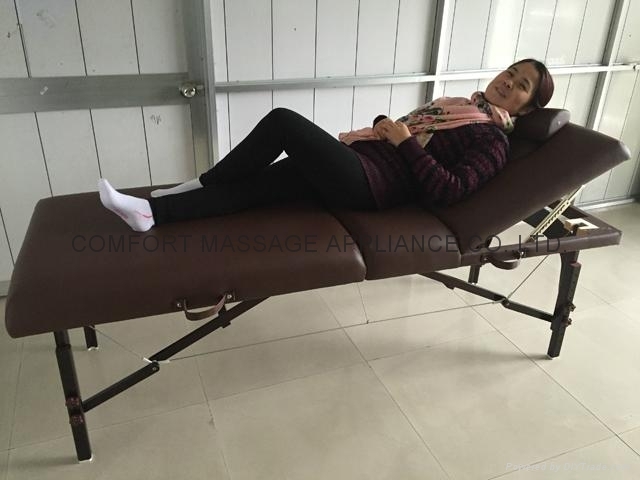 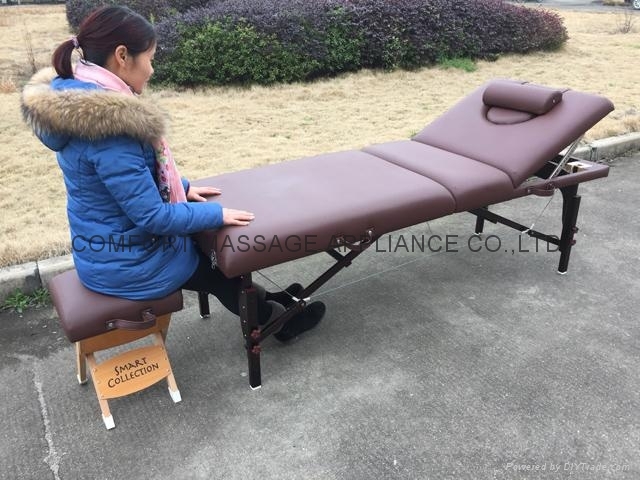 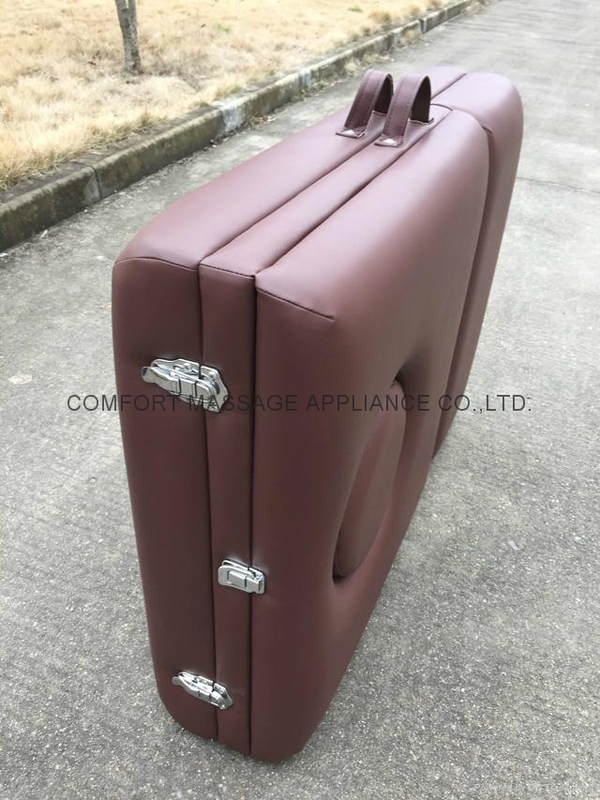 Advantages︰ brown-red beech,more deluxe,6cm high density foam and PU leather make the table comfortable and soft.the table has adjustable backrest and neck pillow which make massage or beauty more comfortable.